By assembling meals that are planned to provide nutrients which fight Parkinson’s and support health, you can do something each day to fortify your mind and body. The one-day menus will help you choose the foods that best nourish your brain, muscles, bones and organs. You don’t need to eat these exact meals, just use them as guidelines. *NOTE: Take levodopa 30–60 minutes before eating. For the body, brain and nervous system: Wheat or oat cereal, milk, fruit (and fruit juice), whole-grain bread, turkey, cheese, egg, nuts, shrimp, vegetables, brown rice, dried dates and figs. Prebiotic foods: Whole-wheat, banana, lettuce, peanuts, cashew nuts, onion. 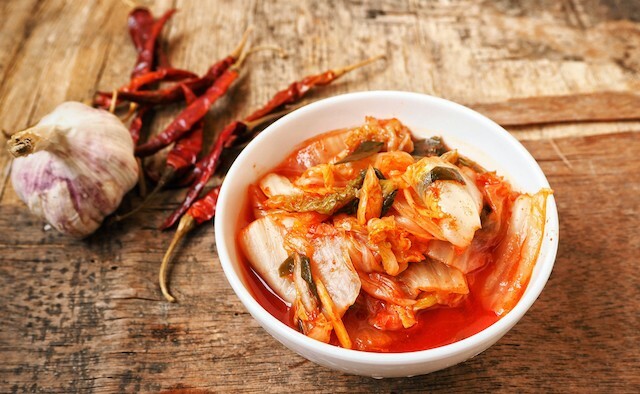 Probiotic foods: Water kefir, fermented pickle, miso soup, kimchi. 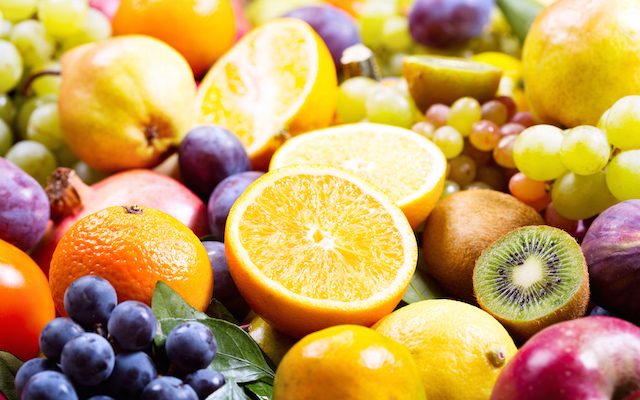 For the body, brain and nervous system: Eggs, sausage, whole-grain bread, yoghurt, banana, fruit (and fruit juice), whole-grain crackers, peanut or almond butter, lentil or split pea soup, cheese, olives, popcorn, salmon, quinoa or baked potato, asparagus, tomato, whole-grain dinner roll, cantaloupe. Prebiotic foods: Whole-wheat toast, banana, peanut butter, lentil or split pea soup, asparagus, tomato. *Note: All vegetables and fruits should be fresh, not overripe; meat, poultry and fish should be fresh, not aged or smoked, or else canned or frozen and eaten immediately after opening or thawing. Eggs, cooked dried beans, peas, and small quantities of nuts and peanut butter are safe. Avoid aged cheeses and meats and foods containing meat extracts such as bouillon or beef broth, fermented soy products such as tofu, soy sauce and miso, other fermented foods except for yoghurt, which is safe. Since fermented foods are limited, you may wish to consider a probiotic supplement, such as gelcaps. See also my tyramine booklet for more information. For the body, brain and nervous system: Oatmeal, milk, whole-wheat toast, whole-wheat blueberry muffin, tuna, whole-wheat bread, raw vegetables, milk or vegetable juice, yoghurt, banana, beef, Brussels sprouts, sweet potato, whole-grain dinner roll, baked apple. Prebiotic foods: Oatmeal, whole-wheat toast, muffin, bread, banana, sweet potato. For the body, brain and nervous system: Eggs, sausage, whole-wheat toast, berry compote, cottage cheese, cantaloupe, vegetable soup, whole-grain crackers, milk or vegetable juice, yoghurt, banana, shrimp, whole-grain linguine, spinach, carrots, garlic bread, chocolate. Prebiotic foods: Whole-wheat toast, vegetable soup with legumes, banana, garlic, chocolate. Choose Parkinson’s-fighting foods; avoid anti-nutrients such as refined grains and sugar, highly-processed foods, and toxic pesticides and herbicides. Eating the best possible foods will support your brain and nervous system, your microbiome, heart, muscles and bones. You will have more energy, feel more alert during the day, and sleep better at night. Kathrynne Holden, MS, RD (retired) is author of “Eat Well, Stay Well with Parkinson’s Disease”, “Cook Well, Stay Well with Parkinson’s Disease” and the NPF booklet ‘Nutrition Matters’. See her website at nutritionucanlivewith.com for more Parkinson’s-related nutrition information.